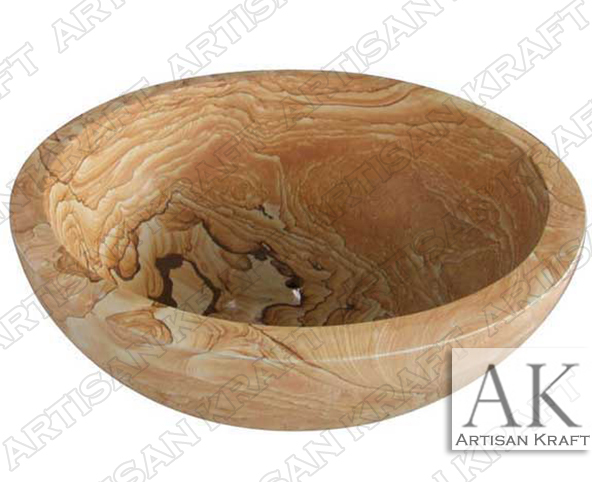 This natural stone bathtub is made from sandstone. The sandstone has sedimentary layers in it that give it a distinct look. Every tub will looks original. The tub is in a circular bowl shape. This is a very large freestanding tub, Shop other great bathtub options carved from marble and granite. Our baths are delivered to LA, Washington, and to DC areas all over the USA. We have office on both the East Coast and the West Coast.